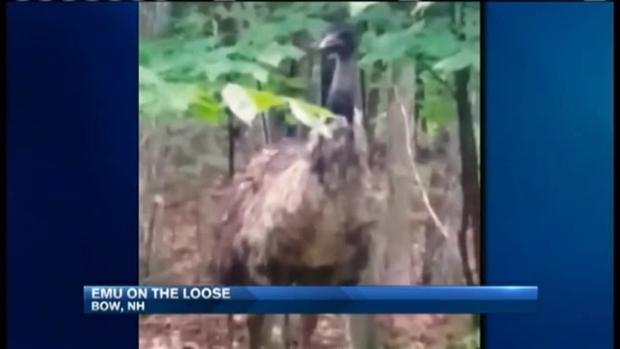 An emu that had been loose and wandering around New Hampshire for more than a week has been caught. Maria Colby, a bird specialist who operates Wings of the Dawn Wildlife Sanctuary in Henniker, says a father and son captured the large, flightless bird in Bow Sunday afternoon. The Concord Monitor reports Colby searched for the bird throughout the week with police and neighbors. The father and son used Colby's handheld net to capture the bird. Several people helped pick it up and carry it to Colby's car. 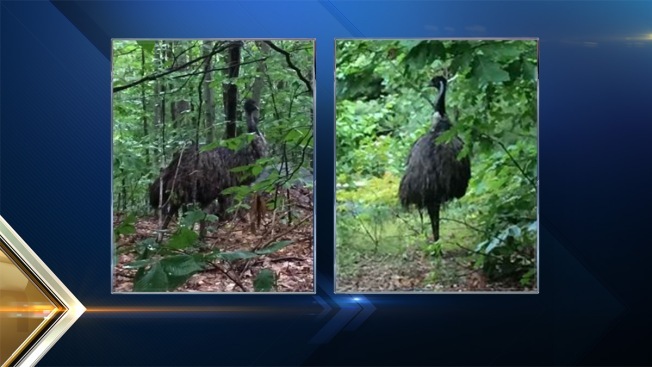 Wandering Emu Seen in N.H. The son attempted to catch the bird earlier that day, but the 5-foot tall, male emu bit him and ran. Emus are among the largest birds in the world and are native to Australia. Colby says the bird appears to be healthy.